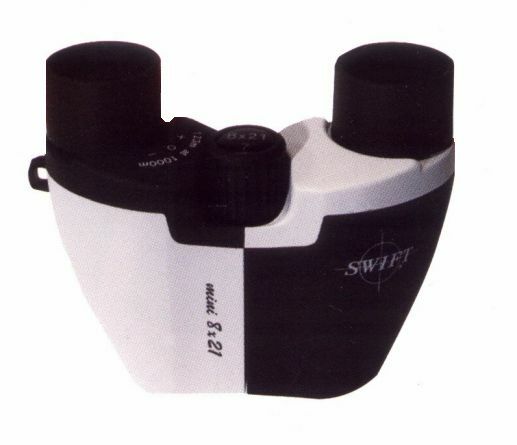 This light weight compact 8x binocular focuses as close as 10 feet. Easy to hold and carry, yet brilliant to look through. Lanthanum lenses, BaK4 prisms and steel blue coating add up to maximum resolving power. Complete with padded case with belt loop and lanyard.